Everything about Sarsilmaz’s SAR 9 is built to impress — including the price. Sarsilmaz is Turkey’s largest small-arms manufacturer. The SAR 9 is a duty-sized, polymer-framed striker-fired 9mm pistol. It features a slide made of 4140 ordnance steel. It also has an ambidextrous thumb safety. The pistol weighs in at 27 ounces and has a 15-round capacity. Additionally, it comes with two backstrap replacements and two grip panels. The takedown latch has raised stippling, which doubles as an index point. Since the introduction of the Glock pistol more than 30 years ago, we’ve seen a proliferation of polymer-framed handguns. The benefit to shooters is that now we have a plethora of affordable handguns to choose from. And, while they all might seem Glockish in design, there are subtle differences that set each of these plastic pistols apart. One relatively new offering you might not be familiar with is the SAR 9 from Sarsilmaz. Sarsilmaz is a small arms manufacturer based in Turkey. In fact, it’s the largest small arms manufacturer in Turkey, and the company was founded 138 years ago. Sarsilmaz — which translated to English means “unshakable” — builds most of the weapons for the Turkish military and exports worldwide. 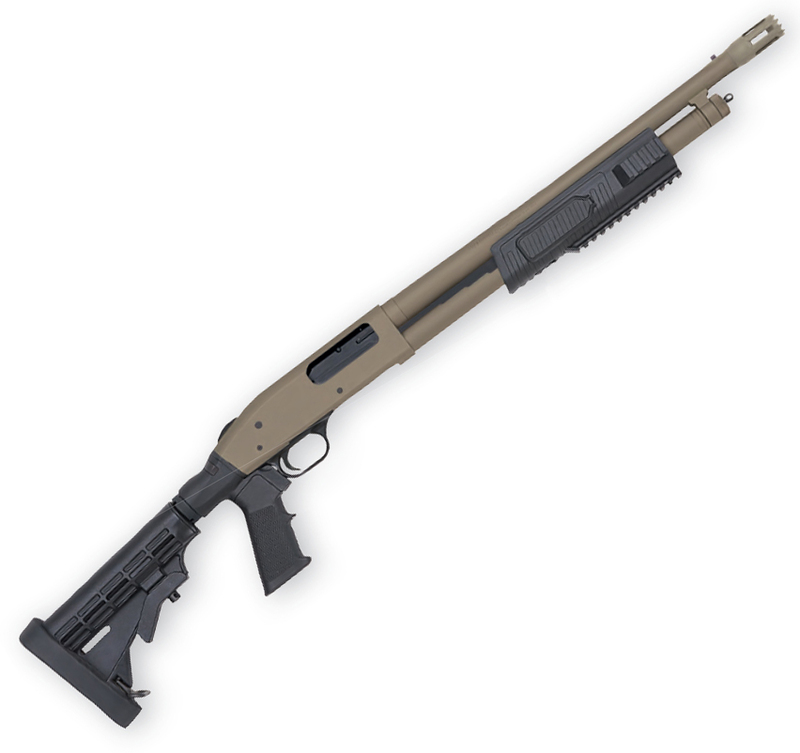 Sarsilmaz firearms are imported into the United States through SAR-USA, which is located in Des Plains, Illinois. I have very little experience with Turkish firearms, and I’ve never been to Turkey. The only “Turkish” related story I know comes from my father, who fought beside them — and soldiers from other countries — in Korea. Dad said the Brits only wanted to lounge on the back of their tanks and brew tea. But he said when it came to the Turks, you did not mess with them. According to my father, they were the most violent troops he’d seen — he said they were unshakable. The SAR 9 — I just call this pistol the “Turk,” since “Sarsilmaz” is not a word that appears in the hillbilly dictionary — is a duty-sized, polymer-framed handgun with a robust slide made of 4140 ordnance steel. The pistol is more Glockish in look than in feel, and this is mostly due to its modular grip. Another unique feature of the SAR 9 is its ambidextrous thumb safety. Beyond that, it’s very much like any other polymer-framed handgun, both in operation and design. The grip on the SAR 9 has a removable backstrap and center panels to help you better fit the pistol to your hand. The grip is very comfortable, and by removing a pin at the rear base of the grip (you’ll need the small punch, which is included with the gun, and a hammer to make this happen) the backstrap can be removed. Once the backstrap has been detached, the grip panels slip out. The pistol comes with two additional backstraps and two sets of additional grip panels. By mixing and matching these, you can configure the grip to best fit your hand. I experimented with these parts for a bit, but I ended up liking the gun best as it came out of the box. Don’t get me wrong: I like the idea of the modular grip, I just didn’t need it. The thumb safety, on the other hand, I really appreciated. One of the most common self-inflicted injuries with a handgun occurs when a shooter leaves his finger on the trigger when holstering. With a thumb safety that has been activated, this is near impossible to do. Unlike the thumb safety on a 1911 or Browning Hi-Power, the SAR 9’s thumb safety does not lock the slide. This means you can insert a magazine and cycle the slide to chamber a round with the thumb safety engaged in the “safe” position. The thumb safety on the SAR 9 has a very low profile but is easy to manipulate. One online review from a well established — but what I consider questionable — source, described the thumb safety on the SAR 9 as needing, “roughly half the weight of a fully loaded 747 to move the safety from the ‘safe’ to ‘fire’ position.” Maybe this fellow had a bad gun — that’s possible. Or maybe he just has girly hands — more likely. The SAR 9 comes with an integral accessory rail molded into the dust cover, and it field strips just like a Glock — pull the trigger, pull down on the slide release, and slip the slide off the frame. While I think the requirement to pull the trigger on a handgun in order to take it apart is an idea about as bad as leaving your finger on the trigger when you holster, the process (thanks to Glock) has now become the accepted norm. The takedown latch on the SAR 9 is has raised stipples to help with pulling it down. Those stipples also serve as a great index point for your trigger finger when it’s not supposed to be on the trigger. The Sarsilmaz SAR 9 is a duty-sized, high capacity 9mm handgun that’s manufactured by the largest gun maker in Turkey. Overall, I liked how the SAR 9 felt and operated in my hand. I could depress the magazine release without alternating my grip on the handgun, and the magazines — both that were included — dropped free. For those who like to use a slide lock as a slide release, I could also easily depress it without altering my grip whatsoever, even on an empty magazine with full pressure from the follower pushing against the slide stop. I also found the trigger guard much more comfortable than those on Glock pistols; the arch where it connects to the grip did not dig into the knuckle of my middle finger. This is not the only reason, but it’s one of the reasons I do not own a Glock. The long-time trend in gun magazines has been to accuracy or “bench test” any defensive handgun that’s reviewed. I’ve always been of the opinion this is of little value to the consumer. This is partly because of how a gun performs with a particular ammunition is no indication how another gun just like it will perform with that same ammo. It’s also partly because the time wasted measuring the group sizes a defensive handgun can shoot at 25 yards is time — and ammo — that could be better spent measuring other more important things. Fortunately, Gun Digest does not mandate that I waste my time when I review a defensive handgun. I have a standard test drill to which I subject every defensive handgun I review. It’s a simple drill, but it’s also one that applies in personal protection. This is important because if you purchase a defensive handgun, your intended use for that handgun is very likely for it to protect you from bad things. Like most modern poly-pistols, the SAR 9 has the flanged trigger that must be fully depressed before the gun will fire. The drill is the Forty-Five Drill. It’s made up of four elements of five. You start 5 yards from the target, and the goal is to draw from concealment, and engage a 5-inch target, with five shots, in less than 5 seconds. As easy as it sounds, it’s not. Most shooters — even good shooters — cannot complete the drill under time, with no misses, on their first attempt. Five or more runs through the drill is generally enough to highlight gross if not subtle issues with a defensive handgun. It also gives you a good impression about how controllable, reliable, accurate and user friendly a handgun might be. I subjected the SAR 9 to five runs through the Forty-Five Drill. The average time was 3.75 seconds, and all times came in under the maximum allowable 5 seconds. With each run I became more familiar and proficient with the handgun, by about 2/10 of a second with each attempt, ultimately ending with a best time of 3.34. This is about average for me when using a 9mm semi-automatic I’m familiar with. The issue I had to acclimate to was grip angle: The SAR 9’s is different than that of a Browning HiPower or 1911 — the pistols I shoot most often. As for accuracy or precision, a handgun that’ll put all five shots inside a 5-inch circle, at 5 yards, with an average time of 3.75 seconds, while drawing from concealment, is plenty precise for practical shooting exercises or a real-world personal protection situation. The SAR 9 performed very well. With regard to reliability, most of the 500 rounds fired through the SAR 9 consisted of the four loads that were chronographed. However, several other munitions were selected at random to empty out some partially full boxes. There were only three stoppages, and all occurred with the very light recoiling NOVX 65-grain ARX ammo. This load simply did not have enough juice to fully cycle the heavy slide of the SAR 9. Maybe the main issue with the SAR 9 is holster compatibility: You’ll be lucky if you find it listed in a holster maker’s catalog. Fortunately, you should be able to find some holsters made for Glocks that are passable. Short of that, you’ll just have to tuck this Turk in your waistband. Hey, folks have been doing that — “Mexican carry” — with thumb-safety equipped 1911s for more than 100 years. The SAR 9’s grip comfort, thumb safety and reliability are what the pistol has going for it. That, and its suggested retail of $439, which means street prices are likely less than $400. That’s a lot of gun for the money. 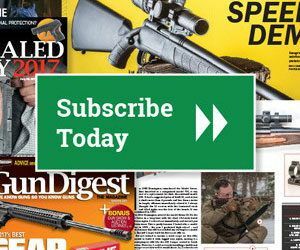 Editor’s Note: This article is an excerpt from the May 2018 issue of Gun Digest the Magazine.